Rashad Jennings is issuing a challenge: “If you can make it through my new game day workout,” says the former running back for the New York Giants, “you’re something special. To accept his challenge, put yourself through a circuit of the six moves he demonstrates below, or leave it all on the field in a football-inspired Whipped class—just in time for the big game. You’ll split into teams and conquer each offense, defense, and special teams stations in a workout inspired by Jennings’s signature training style. For the DIY version, complete a 5-minute total body warm-up including movement in all planes, mobility exercises and a form of plyometrics. Then perform the 6-minute circuit below, followed by a 1- to 3-minute recovery and repeat 3 to 4 times total. You can make this a stand-alone workout or add this quick circuit onto any other workout you are doing, says Amy Dixon, Equinox's director of group fitness programming. Pick a ViPR weight that will fatigue you after 45 seconds. Complete, then rest for 15 seconds. Choose a dumbbell weight that will fatigue you after 45 seconds (somewhere between 8 and 15 pounds). You should be struggling to complete the last rep in the amount of time you have with full-range-of-motion reps that keep clean form. Rest for 15 seconds. Run the drill (using an agility ladder) for 45 seconds. Rest for 15 seconds. Pick a dumbbell weight that will fatigue you after 45 seconds (between 8 and 40 pounds). You should be struggling to complete the last rep in the amount of time you have with with full-range-of-motion reps that keep clean form. Rest for 15 seconds. 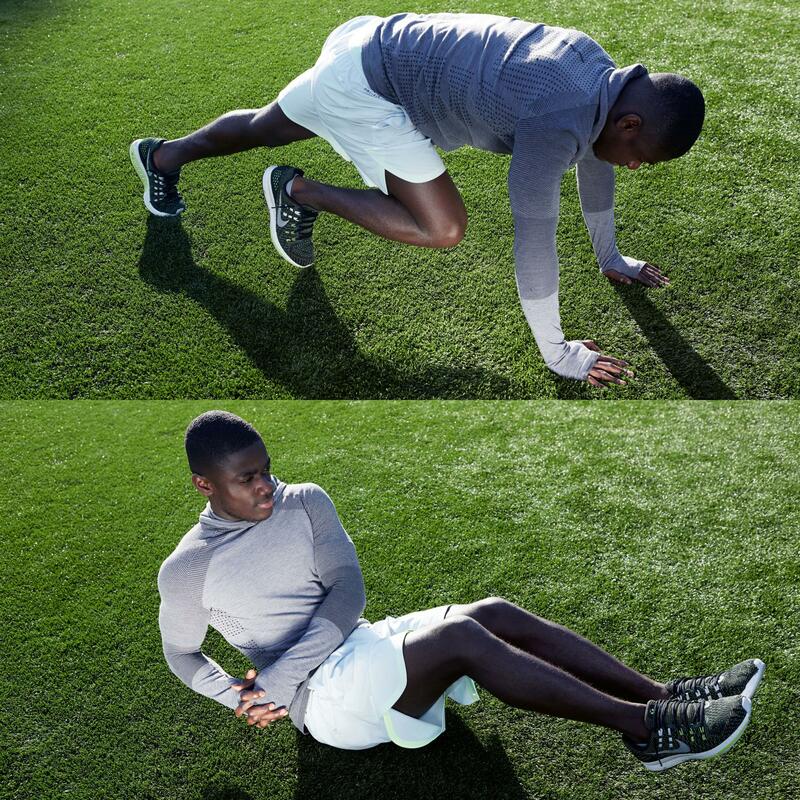 Run the exercise combination for 45 seconds with full range of motion, keeping clean form. Add speed as necessary. Rest for 15 seconds. Perform the drill for 45 seconds keeping clean form. Your goal is to go for burn out. Take 15 seconds rest.